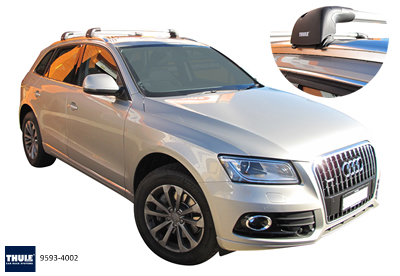 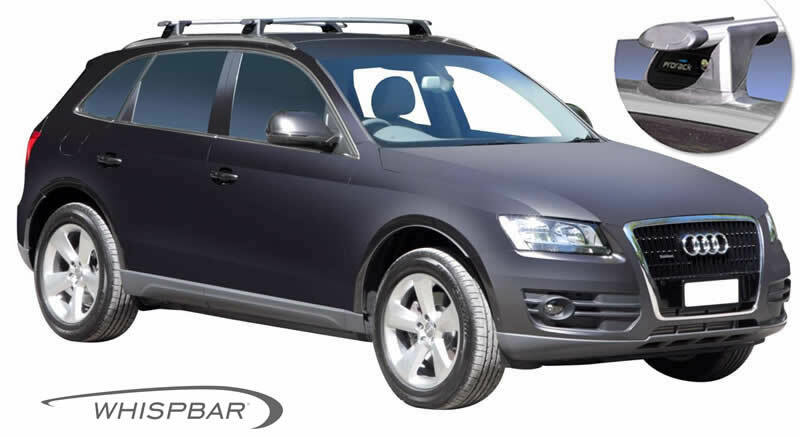 For the Audi Q5 we have roof racks from both Thule and Whispbar.Both brands offer either a flush ended sports style rack or a through-bar for gretater carrying width. 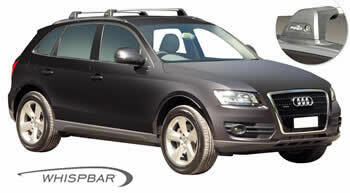 Thule is available with either a budget aero(oval) shape orthe new WingBar profile for reduced drag and noise. The Whispbar has there famous aerofoil shape with class leading noise supression.